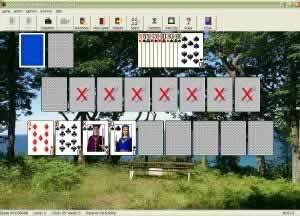 Most Popular Solitaire Game - Download and Play Free Version! 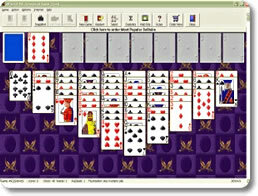 Enjoy the 30 most popular solitaire games in one easy-to-use place with Most Popular Solitaire. Download the free version, read user reviews, view screen shots, read about the game and more. This game features the 30 most popular solitaire games out there in one easy-to-use package! Choose from Klondike, FreeCell, Aces and Kings, Spider and much more. Each game comes with easy-to-understand instructions so anyone can learn the most popular solitaire games quickly. Then dive into game after game of fun! Undo as many moves as you want and enjoy automatic game saving, beautiful card backs and your complete game statistics. With 30 games to choose from, you won't feel overwhelmed by hundreds of unfamiliar games; these are only the best! Keep your mind in shape by playing strategic card games or just relax with your favorite games. Have a night of family fun and learn new games together! 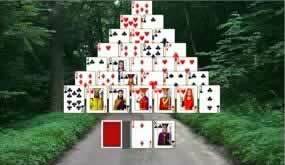 Enjoy the most exciting solitaire games now with Most Popular Solitaire!